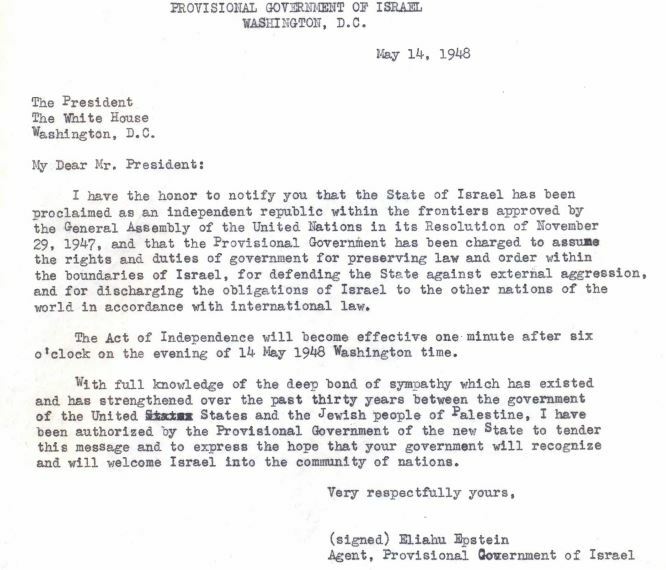 The story of the United States decision to recognize Israel is well-documented. Less well known is the fact that someone had to first make a request for recognition and no one in the provisional government had thought to do so. David Ben-Gurion declared independence at 4 p.m. Israel time, which was early morning in Washington, D.C. The act did not take effect until 6:01 p.m. Eastern Standard Time on May 14, 1948. Truman’s favorable reply can be found here.